So many of you voiced what I had already been thinking: that this person who I always admired for his intelligence and compassion does not care about my experiences as an atheist woman and therefore will no longer be rewarded with my money, my praise, or my attention. I will no longer recommend his books to others, buy them as presents, or buy them for my own library. I will not attend his lectures or recommend that others do the same. 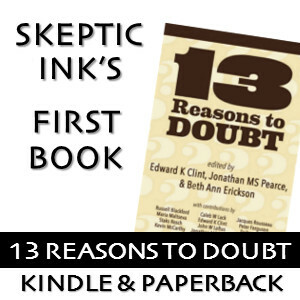 Ever since that post, nearly six years ago, atheist and skeptic event organizers have been on notice that they have to book either Dawkins or Watson, since she avoids being in the room whenever he is giving a talk. This has worked out well in practice, for the most part. No one in charge of a major event wants to deal with that level of drama in the green room or speakers’ lounge, anyhow. There is also no shortage of atheists willing to voluntarily shut you out if you dare to criticize the New Atheist Saints. I will not participate in any conference in which Abbie Smith is a speaker. If I’m invited, and later discover that she is also invited, I will politely turn down the offer. I cannot find any earlier examples of (formerly) skeptical public figures “deplatforming” each other by putting event organizers on notice that they refuse to share a stage or a venue with another speaker. So far as I can tell, Watson and Myers originally pioneered the use of this (morally dubious) tactic within the skeptic community. They are in no position to announce to us, years later, that turnabout is unfair play. It is also worth noting that “deplatforming” is a term of art with a specific meaning. It usually refers to attempts to rescind an invitation through activist protest or institutional policy, or both. Their policy is really one of Me-platforming. The term of art that means I get my way and get to say who can talk. A friend of mine once received an e-mail from [REDACTED] threatening bloggy outrage if their conference did not incorporate more gender diversity. Helpfully, the blogger in question had recommendations. Given that Watson announced her stalwart refusal to attend Dawkins’ talks, it makes rather little sense to claim that he attempted to “use his position in order to keep someone else off the lineup” some months later. Admittedly, the chronology makes it likely that Dawkins’ alleged protestation was in respond to Watson’s condemnation of him, and not the other way around. But then, Watson would be a hypocrite, because Dawkins would only be doing what she had previously done to him: Demanding of conference organizers that they were to choose between Dawkins and Watson. Yet, she criticizes him for doing exactly that. Bad, bad Dawkins! Err… also, “refusing to share a platform with” is not “deplatforming”. It is saying “You can have your platform; I will leave you to it, but I won’t join you on it.” Completely different to “deplatforming”, which is to actively prevent someone from speaking. Naturally, such casual and deliberate misuse of language is just part of the standard playbook for the dishonest and devious likes of Watson and Myers. I assumed they were just being sloppy. Aww, entitled brat is mad because she couldn’t take advantage of famous man whose name she had dragged through the mud for no other than narcissistic reasons! The FtBullies know no limit to their horseman envy. Newsflash: most of humanity does not care about your experiences. Is she still relevant? I have thoroughly removed her from my various social media feeds and haven’t visited her website in years. She hasn’t filtered through to me in a very long time; I’d almost forgotten she existed. I’m a metrics guy. As far as I can tell, the primary measure of relevance for an internet personality is their monthly Patreon income. Good point. Then I’m utterly irrelevant…..